Brian practices in the firm's Labor & Employment and Torts, Trial & Insurance sections where he concentrates on labor and employment disputes, complex commercial disputes, and trial work in bad-faith insurance defense and workers' compensation cases. 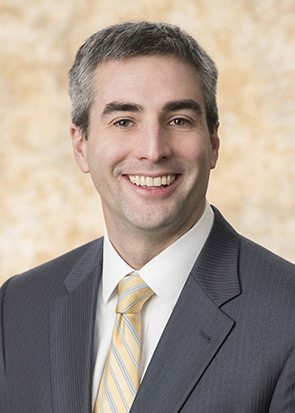 Brian has served as counsel to publicly-traded companies in numerous contractual disputes involving the successful defense of claims concerning procurement of breach, violations of non-competition agreements, and the unauthorized use of trade secrets. Brian has also successfully defended major medical device manufacturers in product liability actions, and insurance companies in actions alleging bad faith, in addition to claims concerning complex third-party coverage issues. Brian was awarded a Rotary Academic-Year Ambassadorial Scholarship, which allowed him to continue his studies at the University of Edinburgh where he received his Masters of Science in History. Finally, he attended the University of Michigan Law School where he received his Juris Doctor. Brian has taught Conflict of Laws at the Nashville School of Law since 2017. In addition, Brian is a frequent lecturer on trial practice and labor and employment law issues. When not in the office, Brian and his family explore the outdoors. In 2001, he completed a thru-hike of the Appalachian Trail, and in 2009 he and his wife summited Mount Kilimanjaro. Additionally, Brian is very active within his community.